Teachers rarely enter their profession due to an overwhelming desire to make more money, receive accolades, or gain personal feelings of success. While these may come in time, teaching first and foremost is a calling. A deep desire to share your love of knowledge with others and ignite their lifelong passion for learning. Being a teacher isn’t for everyone, but if you are looking for a way to impact the future and be a good citizen, teaching may be a good fit. It’s important that you be realistic about what you can accomplish and realize when you need to manage your personal expectations more effectively. Children, parents and other educators are not perfect, so it is important not to have your sights set too high going into your first year, or you may end up feeling defeated instead of renewed and ready to tackle Year 2. This practical advice culled from teachers will help you get your new career off to a stellar start. Teaching certifications may vary by state, and there are various specifications and scoring rules that you will need to keep in mind during your study sessions. There are plenty of online courses and prep materials available to help you get started, and you can always retake the test if needed. Looking to get started even faster? Check to see if your state offers alternative licensing options for people who are changing careers. If you are only working in one state, certification in that state is perfectly acceptable. However, if you feel wanderlust coming on there are always national board certification options available for teachers with more than three years of experience. Finish up this certification and net a “highly qualified” status, which you can leverage for a boost in pay. It is unlikely that you will start every day with an overabundance of energy, but you should still make the effort to get fired up. The children in your classroom will feed off of your energy, and if you are excited about learning and teaching — they are much more likely to follow your lead. Anytime you feel as though you or the children are losing energy or focus, consider a brisk walk around the room or to the water fountain as a way to quickly wake up your body and your mind. You might be surprised how well this can take care of that after-lunch naptime feeling. Staying in touch with students and parents while making yourself available for their questions is one of the more challenging aspects of teaching that can easily fall by the wayside. New, free tools such as Remind allow you a direct conduit to parents who have downloaded the app — and student, too. This is especially important for older elementary or high school children who are likely to have a phone or other personal electronics. These push notifications are great for everything from a reminder to complete their homework before the next day to letting parents know when report cards are due. Plus, teachers of older children may find that this allows them to maintain a deeper relationship with the children in your classroom by providing a safe way to communicate. Social media is perhaps a necessary evil, but one that should be managed judiciously by teachers. Younger teachers especially may have some items on their social media that could give parents pause or cause children to ask a question. While the best option is to keep your social media accounts completely private, this isn’t always feasible. One of the most important tips for new teachers is to never accept or send friend requests from students. Students of all ages may get the wrong impression if they are communicating informally with their teacher. It is best to always keep it professional, and you will find that students and parents will have a higher level of respect for your professionalism. 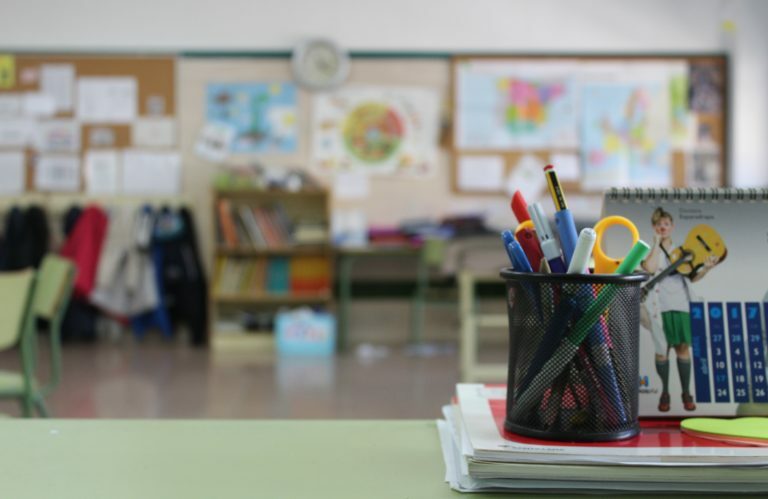 There are several options for teachers who are interested in boosting their pay, including certifications and endorsements in a variety of different subjects. The more you know, the more valuable you are to your school! Understand where your particular state ranks in terms of teacher pay, and look for options across the state line if they are more attractive. Never stop educating yourself — there are many different levels of courses. Take a few master’s level courses at a time and before you know it, you will be on your way to a second degree (and more pay!). Always keep this in mind: your faculty, your peers, your students and their parents all want you to successfully teach their children. You are all on the same team together!